How does music work? Seeking an answer to this simplest, this most difficult of question has intrigued people since the time of the ancient Greeks: why it is that abstract patterns of sound that don’t mean anything in a literal sense actually mean so very much to us as human beings, and play such a central part in our lives. In the Western societies, we are bombarded with music for around half our waking moments. In shops, during advertisements on the radio, television or online, in the dentist’s waiting room or as the plane taxis prior to take-off – music is there to influence the way we think, feel and behave. Why? Because, as every film maker knows, music is unique in its power for stirring the emotions, without listeners even needing to be aware of its presence. And, as music therapists’ work with dementia patients and autistic children has shown, music has the capacity to plumb the depths of the mind and tap into memories (happy, sad, profound or everyday) that words alone are not able to touch. The sheer beauty of music can make grown men and women weep. Some even think that music brings them closer to their God. There is music for every occasion: from adolescent rites of passage to wedding celebrations, from relieving the tedium of manual work to emboldening soldiers to fight. There is music to help people get high, chill out and make love. There is even music for the departed and music to be buried to. In Comparing Notes, Adam Ockelford sets out a fresh way of tackling the question of how music works. 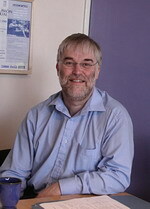 This draws on a number of sources: the ideas of twentieth century Western musicologists and composers, whose opinions still drive much thinking about music today; the phenomenological approach to the perception of sound formulated by the German philosopher Edmund Husserl; and some of the recent discoveries in the field music psychology – an interdisciplinary area of enquiry that has forged its own identity in the last three or four decades to become a major focus of research, particularly in relation to neuroscience. But there is also a wholly new ingredient in the mix: the insights that Adam has gleaned over decades of work with children on the autism spectrum. Autism affords a powerful way of understanding how so-called ‘neurotypical’ people create, process and respond to music. This is possible because the human tribe exists on continua of interests, abilities, propensities and traits, and, by observing people who function at the extremes, we can better understand the ordinary, everyday, musical experiences that are characteristic of us all. But, most importantly,it is Adam's belief that, through the prism of the overtly remarkable, we can discover the uncelebrated exceptionality in each of us. We are all musical by design, and most of our musical abilities, which exceed the capacity of even the most advanced computers, are acquired without conscious thought or effort when we are still in the early years. "A profound and deeply important book. There is wisdom and humanity on every page." "...this outstanding book about music. " 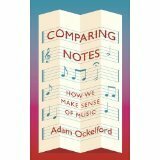 North American rights in Adam Ockelford’s Comparing Notes: How We Make Sense of Music have been sold to Oxford University Press. Profile published in the UK later this month.